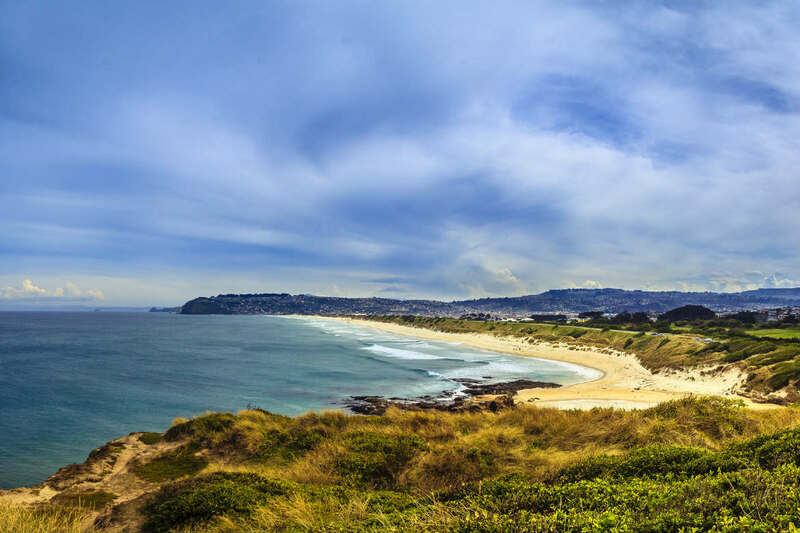 About five hours south of Christchurch, Dunedin features both incredible natural beauty and a fascinating mixture of Scottish and Māori heritage. Step off the beaten track and discover some of the best things to do in Dunedin! With its extensive Scottish history, it’s not too surprising that New Zealand’s only castle is located in Dunedin. 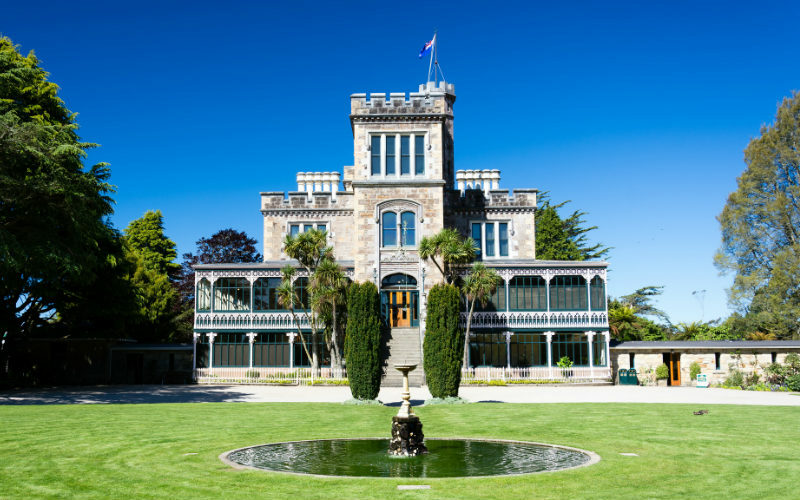 Built in 1871, Larnach Castle sits 300 metres above the spectacular Otago Peninsula. After years of neglect, the castle was purchased in 1967 and eventually restored to its former glory. Today, members of the public can tour the castle while admiring its collection of New Zealand period furniture and antiques. Grab a map and wander through Lanarch’s immaculately landscaped gardens—which have been deemed a Garden of International Significance by the New Zealand Gardens Trust—or simply sit back and enjoy high tea in the majestic surrounds of Larnach Castle. Larnach Castle, Dunedin, New Zealand. Image Credit: Christoph Strässler / CC by SA 2.0. 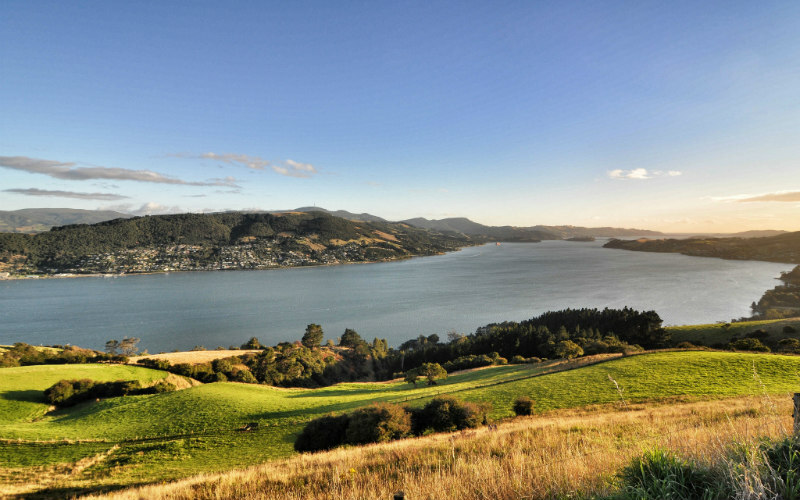 The Otago Peninsula, just east of Dunedin, is a major drawcard for the city’s visitors and residents alike. This scenic area is characterised by rolling hills, coastal cliffs, and secluded, sandy bays, with a vast network of walking and cycling trails crossing this terrain. Boasting an incredible diversity of wildlife, the Otago Peninsula has been called the ‘wildlife capital’ of New Zealand; as well as sea lions, fur seals, sea lions and rare, yellow-eyed penguins, this is also where you’ll find the only mainland-breeding colony of Royal Albatross in the world. Visit the Royal Albatross Centre for a one-of-a-kind bird-watching experience, or bring your camera and hiking boots and explore the breathtaking landscapes of the Otago Peninsula. Otago Peninsula, New Zealand. Image Credit: chee.hong / CC by 2.0. When it comes to beauty, Dunedin doesn’t just rely on its natural assets. In fact, the city has managed to establish itself as a creative and artistic hub without any help whatsoever from the New Zealand government. 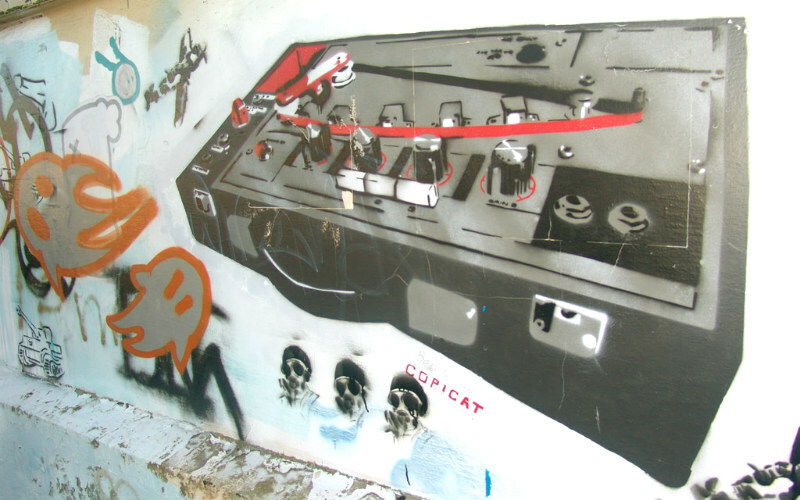 Since 2014, the Dunedin Street Art Charitable Trust has commissioned artists from New Zealand and around the world to bring the city’s streets to life. What started as a splash of colour across the Warehouse District has now spread to dozens of buildings, walls and facades around Dunedin. Download a map of the Dunedin Street Art Trail and set off on a 90-minute tour of the city’s best public murals. With more than 30 eclectic artworks currently on display (and plenty more to come), this trail is one of Dunedin’s most popular free activities. Street art in Dunedin, New Zealand. Image Credit: Bryce Edwards / CC by 2.0. Founded in 1898, the Toitū Otago Settlers Museum is New Zealand’s oldest and most comprehensive history museum. Built on the 50th anniversary of the region’s Scottish settlement, this museum documents the history of both pre-colonial and modern Otago. Across 14 themed galleries, it highlights the influence that Māori, Scottish, Chinese and other populations have had on the area’s art, technology, fashion, culture and transport. The museum also features a research centre and archive, shops, a café, and a traditional Chinese garden which was designed in collaboration with architects from Dunedin’s sister city, Shanghai. With all of this available for free in the heart of the city, Toitū Otago Settlers Museum is a must-visit attraction for anyone passing through Dunedin. Toitū Otago Settlers Museum, Dunedin, New Zealand. Image Credit: Dunedin NZ / CC by ND 2.0. 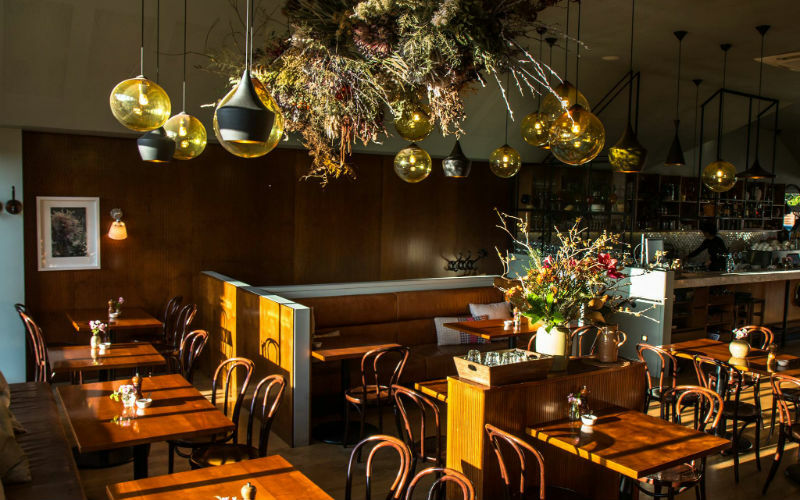 Many out-of-towners don’t realise that Dunedin is one of New Zealand’s biggest foodie havens. This modestly sized city boasts an incredible café scene, with favourite names including Ironic Cafe and Bar, 1908 Cafe Restaurant, The Perc Cafe, Nova, and the boldly named Best Cafe. Those who feel more at home in a pub or a bar can also check out Emerson’s Brewery, Albar, Ombrellos Kitchen & Bar, or Carey’s Bay Historic Hotel—although Laneway Cafe, Bar & Tapas, hidden just off George Street, seems to offer the best of both worlds. Fans of fine dining won’t be disappointed either, with Two Chefs Bistro, Gaslight, Etrusco at the Savoy, Bacchus Wine Bar, and No.7 Balmac all serving up an array of incredible dishes. With so many options to choose from, the only limit is your imagination—or perhaps your wallet. No.7 Balmac, Dunedin, New Zealand. Image Credit: No.7 Balmac. Looking for an unmissable event? Luckily for you, Dunedin is home to the largest indoor arena in the country. 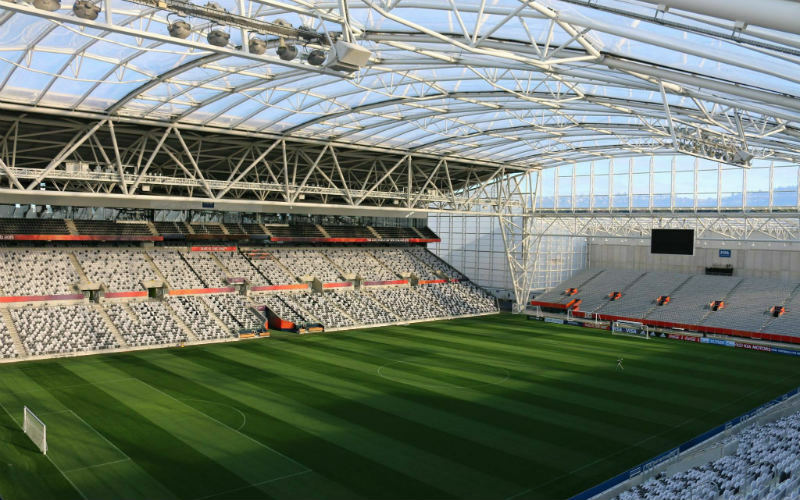 Just a stone’s throw from Otago Harbour, Forsyth Barr Stadium is instantly recognisable by its massive, transparent roof. See sunlight streaming onto the field on sunny days, or enjoy a world-class sporting match with rain and wind lashing on the roof of the iconic ‘glasshouse’. The stadium also welcomes major concerts and music tours, with past performers including Elton John, Fleetwood Mac, Black Sabbath, Ed Sheeran and Kendrick Lamar. With the Dunedin Craft Beer & Food Festival also hitting the turf each November, Forsyth Barr Stadium has something for everyone. Forsyth Barr Stadium, Dunedin, New Zealand. Image Credit: Forsyth Barr Stadium. Ready to visit the ‘Edinburgh of the South’? Book cheap flights to Dunedin with Webjet today! Feature Image Credit: Graeme Scott / Public Domain Mark 1.0.